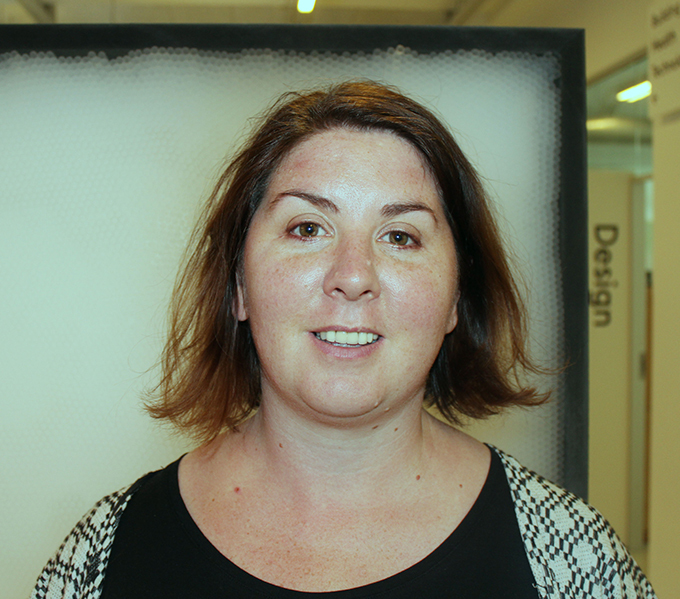 Aoife Fahey is a recent graduate of MCAD’s MA in Sustainable Design Program. Aoife lives in Copenhagen, Denmark. 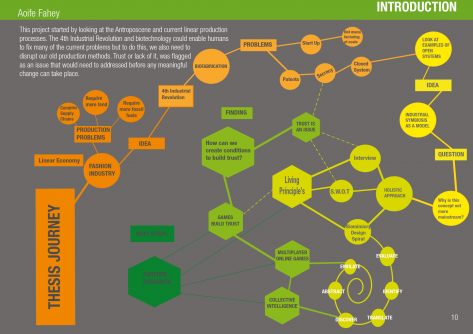 The Biomimicry module. I wanted to learn more about Biomimicry and after doing Cindy Gilbert’s MOOC I learned about the MCAD MASD. She told me that a lot of the program’s instructors had worked with the Biomimicry Institute in the past and that swung it for me. I signed up. I learned that we have to be way more empathetic in everything we do. The us vs them mentality does not get us anywhere and if we are going to make real sustainable change we need to listen to the people who oppose the change to find out why. Once we understand their reasons, we can work on finding solutions that they can also get on board. I was always adamant that I wanted to work in sustainability but the program has shown me that there are lots more avenues of sustainability to explore and plenty of ways that sustainability can be incorporated in ‘ordinary’ jobs. I made some really good, lifelong friends. With an online program, I didn’t really expect to develop friendships that will endure long after the program ends but I have. Some of us have even met up in different countries. And now I also have a global network of sustainability professionals. I’m most proud of the projects where I challenged myself and didn’t think about the grade. I learned a lot even if the ideas failed and really that is what it should be about – the learning and not the grades. What is the most exciting or inspiring thing you’ve learned in the program so far? Everything to do with biomimicry inspires and excites me. 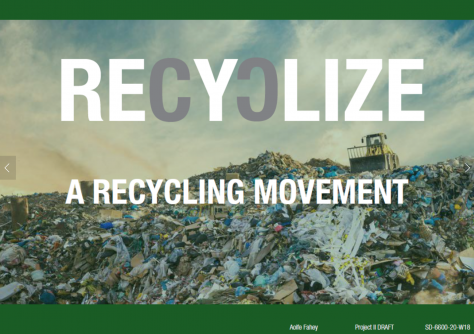 I did a project about creating an app to improve understanding about recycling called Recyclize. I had a lot of fun on that project and I really enjoyed talking about it with different people and sharing ideas of how it should work. I am still toying with the idea of continuing to work on the Recyclize app but for now I think that I will look forward to any job that allows me to continue to work with sustainability. I look at everything now from a perspective of how can I redesign or improve it. Not just products but also systems and processes. Let’s redesign everything! That Nature has all the answers, we just need to learn how to ask the right questions. Empathy. We are all in this together and playing the blame game is not getting us anywhere. To look into Biomimicry. The facts and figures around sustainability can be alarming and depressing. Biomimicry gives us hope that we can solve our problems. I would change the education system. I think one of the big sustainability problems is a lack of education and awareness around the issues. People are not trying to kill the planet on purpose and if there was better education around the issues I think we would see a lot more solutions appearing. And while I was at it, I would use my magic wand to get rid of grades and focus on learning. Learning should be fun! 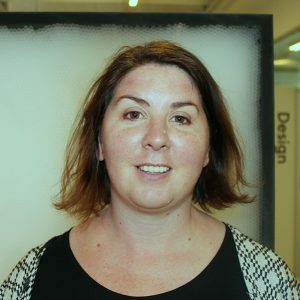 Aoife Fahey earned her BA in Sustainable Design&Business in 2013 from the he Copenhagen School of Design and Technology where she continued to work a project manager at Material Design Lab after graduation. 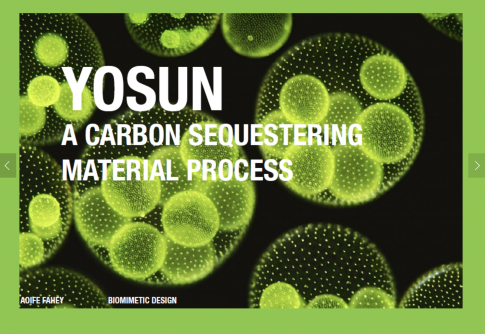 She has worked for a number of years within sustainability education, circular economy and bio-fabrication. Since graduating with her MA in Sustainable Design in 2018 from MCAD, she has moved into the business world and is helping companies incorporate sustainable business initiatives. Aoife currently lives in Copenhagen, Denmark.